The forms of the TERRESTRE | re-lamps light fixtures are inspired by plants, while their colors evoke those of unsaturated chalky stucco. 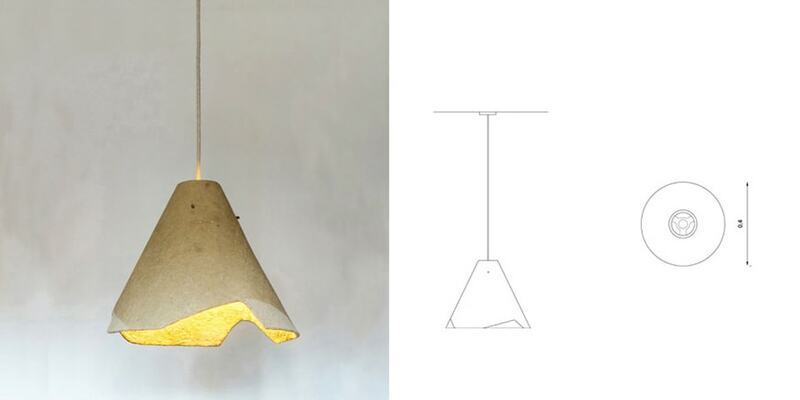 The lampshade is modeled into a mold and air dried thereafter. 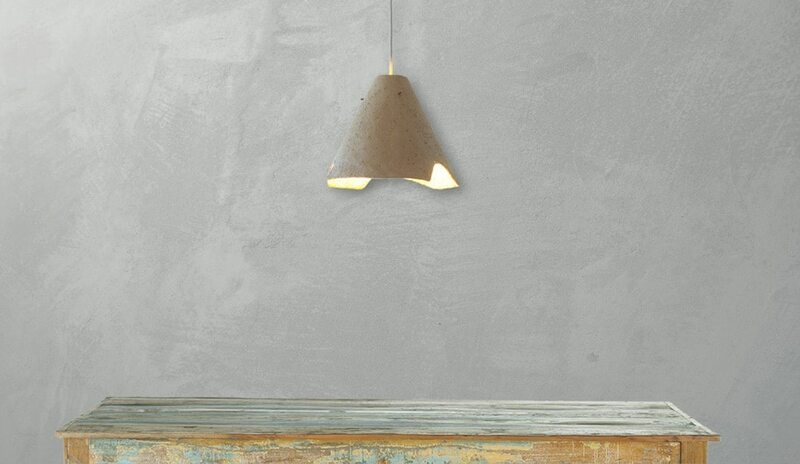 The pendant holder is cut from a single piece of oak wood. Color (ivory white, Verona green, Pompeian red), lower edge profile, and lampshade form (cone or bowl) are at the client’s discretion.